Black & White Metal Doll Buggy is 13 3/8 x 7 1/2" x 6 3/4". Assembly required. 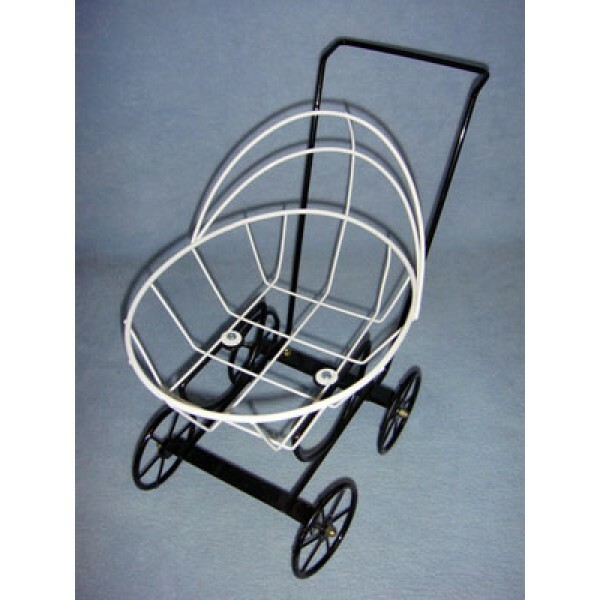 Pattern is available to make fabric buggy cover (37091).